This BGS assembly is coming from the airport onto I-215, I'm pretty sure. There is a grass-filled, but cement-surrounded median here. Looks kind of deserty, if you ask me. 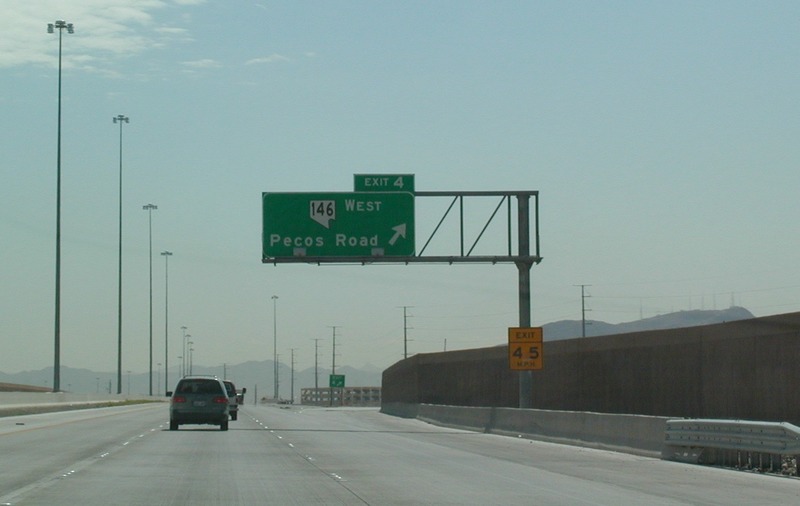 This is I-215 EB at NV 146 (Pecos Rd.). This is south of Las Vegas on the still-under-construction beltway. 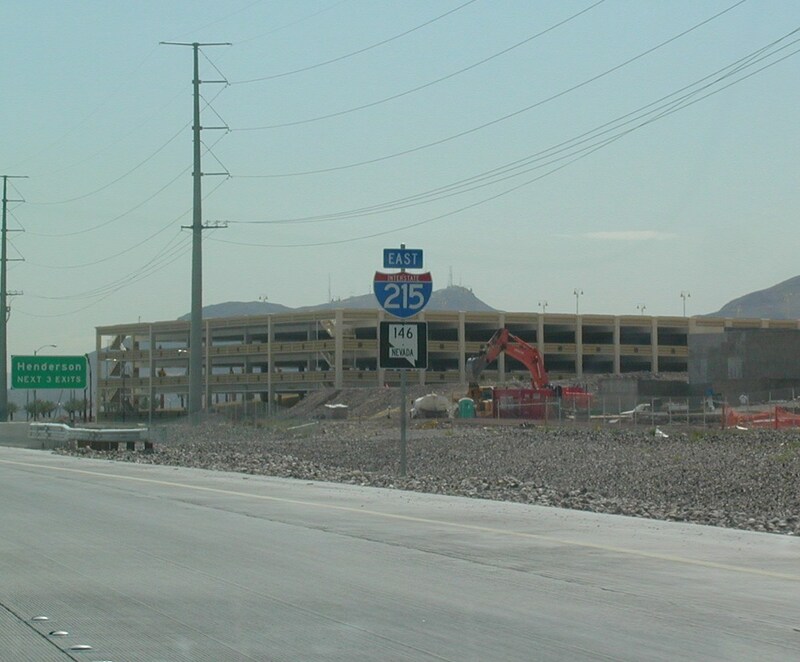 NV 146 joins I-215 for a few miles, as at the time the picture was taken, I-215 had not been completed to I-515. 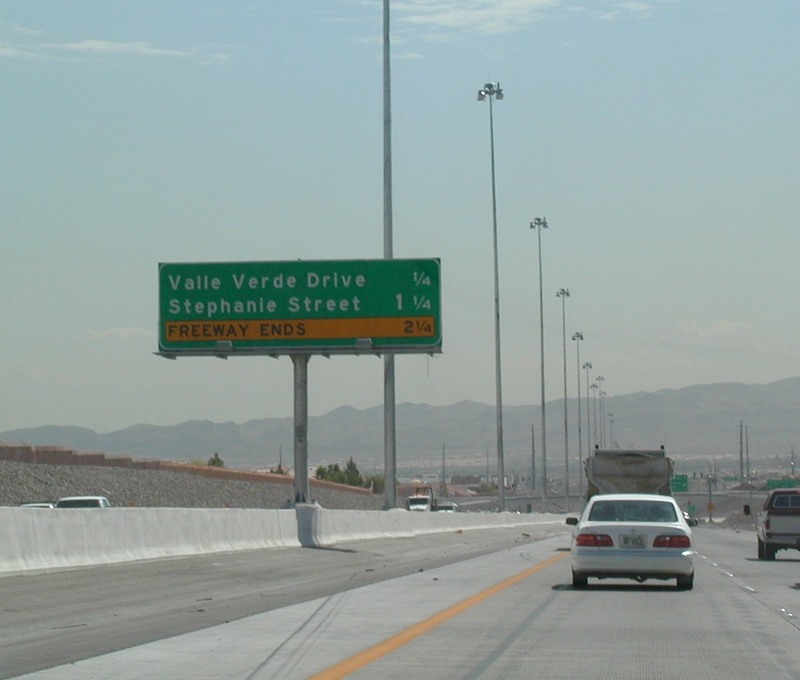 NV 146 was the connecting highway between the two interstates. I don't know what the situation is today. The imminent death of I-215. Just 2 and 3/4 miles. 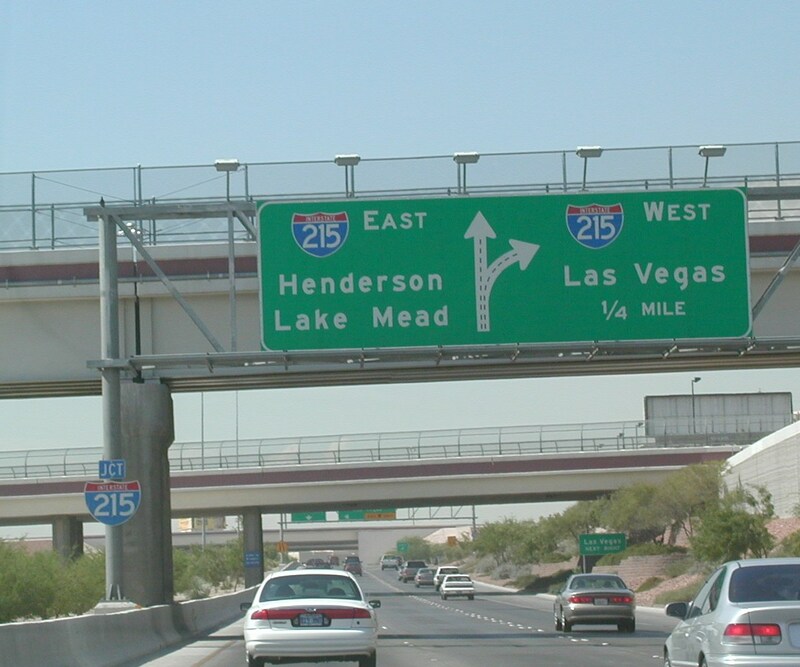 I-215 comes to an end before I-515, and NV 146 takes over. 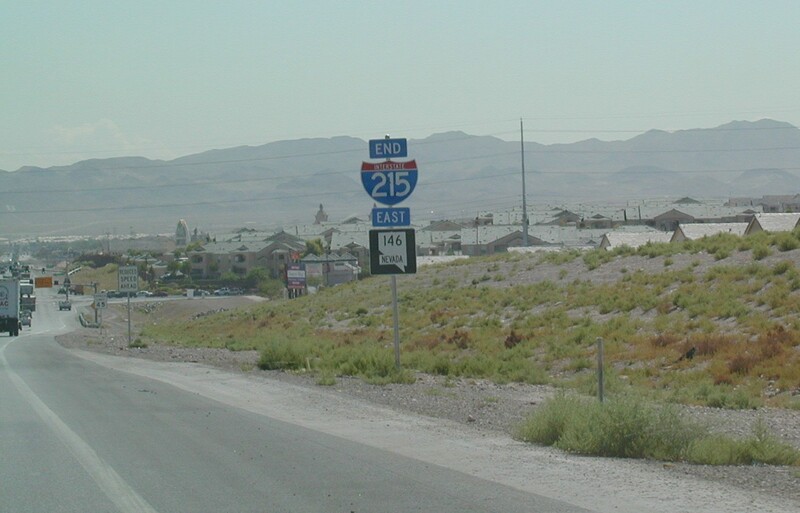 They kept a blue EAST banner for NV 146, even though it is not an interstate. You can see the first stoplight just ahead. 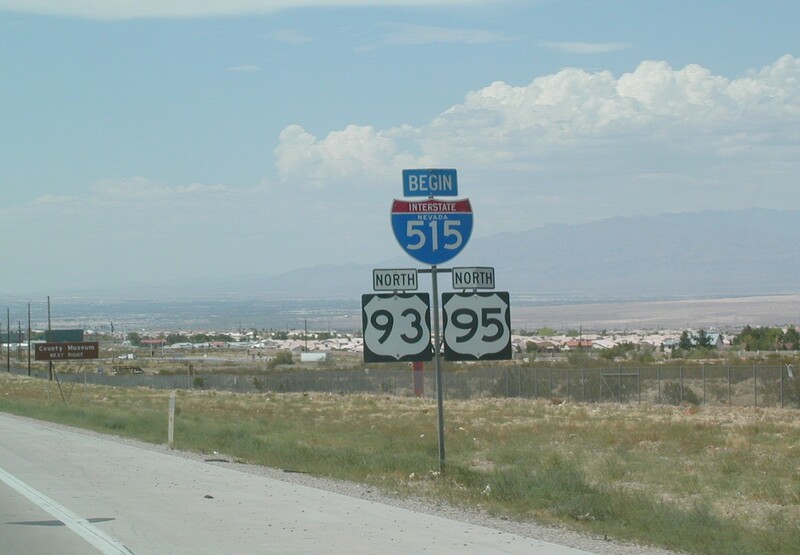 After a mile or two, NV 146 intersects I-515, US 93, and US 95. 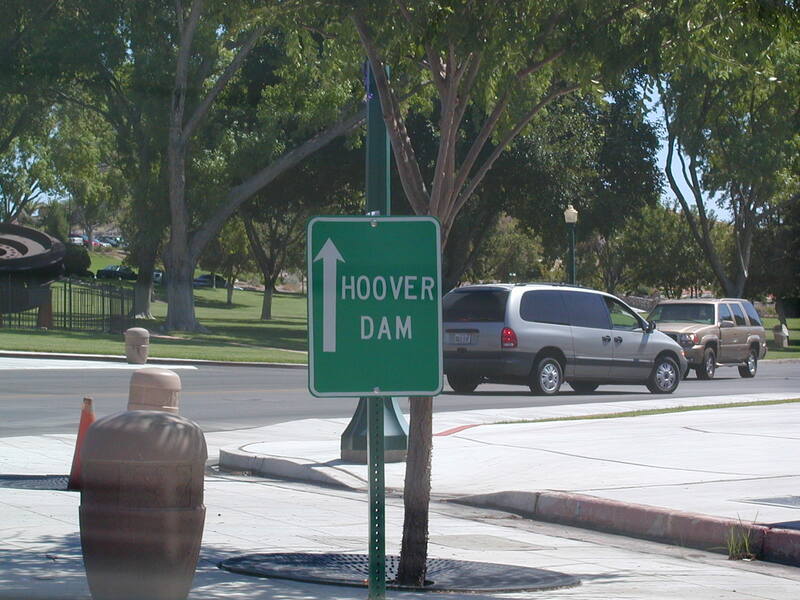 Take this exit to Hoover Dam. 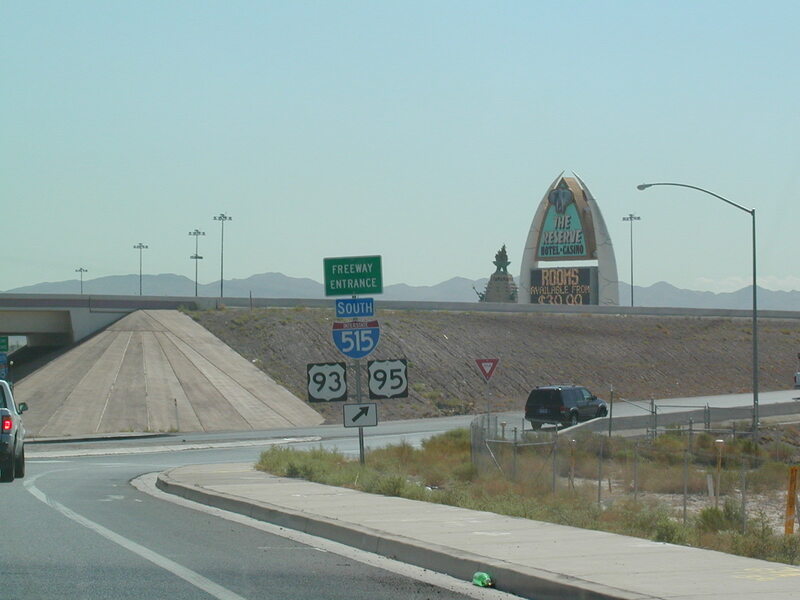 Nevada uses the same style of freeway entrances as does California, at least in this area. The casinos stretch all the way out from the strip to Boulder City, so it seems fitting that there's one here, too. On EB NV 146. On WB NV 146 at the end of the day, approaching a stoplight before I-215 begins. 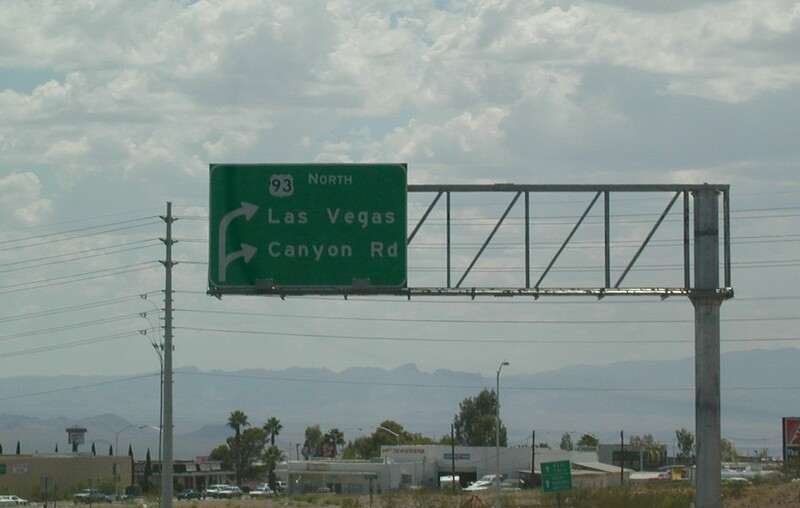 I guess this means that Nevada signs its roads' beginnings! I-215 begins! 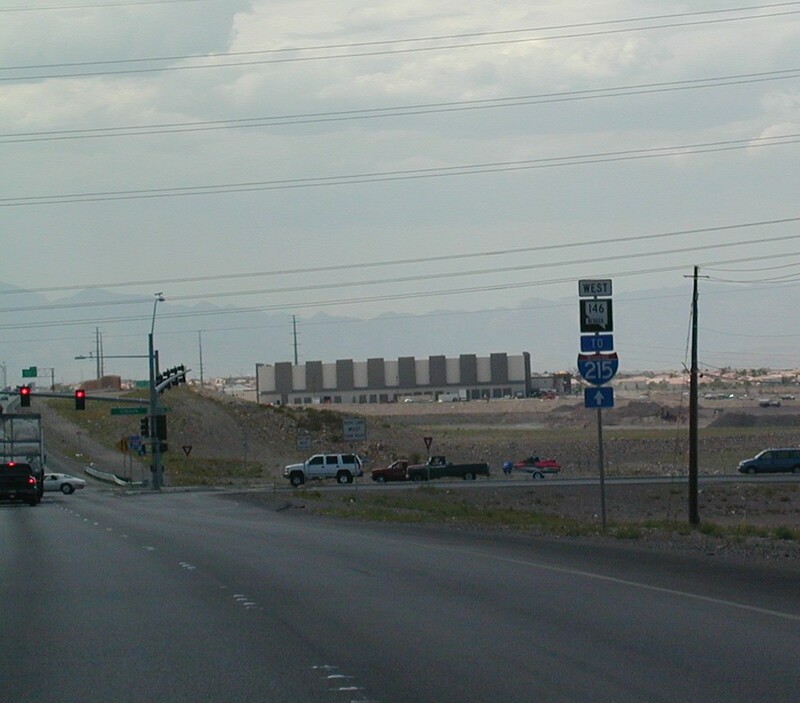 This is SB I-515, US 93, and US 95 just south of the NV 146/future I-215 interchange. We are headed to Boulder City and Hoover Dam. Call me crazy, but I think I-515 is pretty scenic, with all the mountains surrounding it. 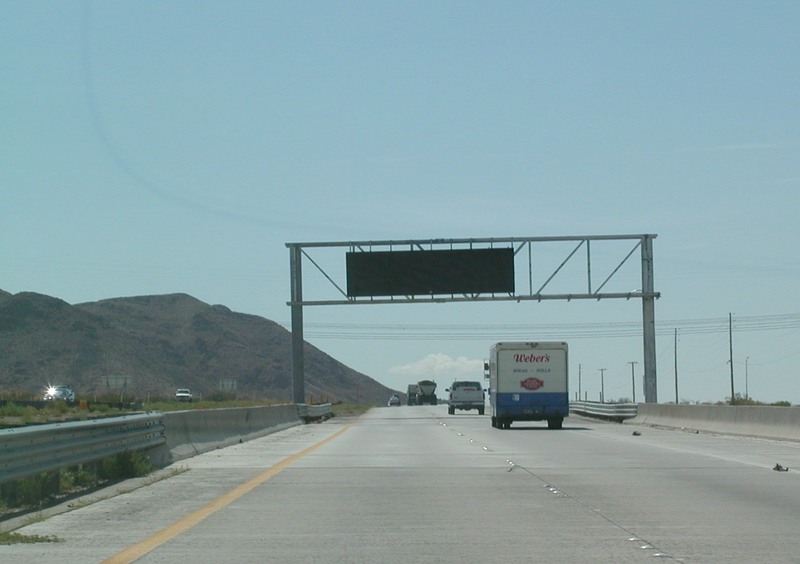 This variable message sign was not in use the day we drove under it. 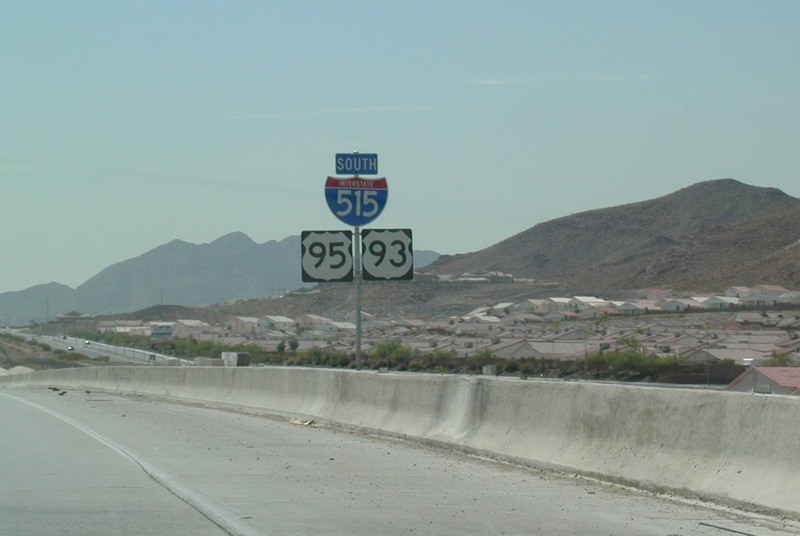 I-515 has come to an inconspicuous end, and US 95 is about to depart US 93 for Needles, California. It is starting to look even more scenic as we get into the mountains! We ended up taking the business route through Boulder City, and encountered this sign directing us to the dam. 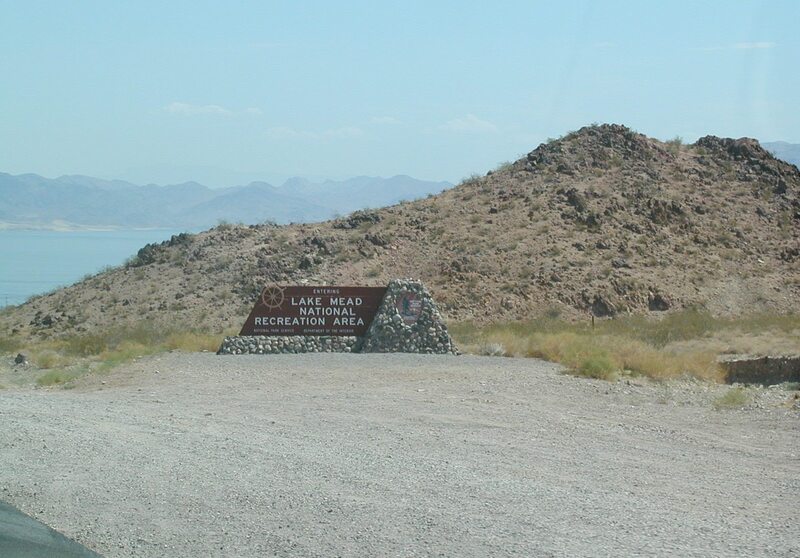 Entering the Lake Mead National Recreational Area on US 93 South. There is a good view of the lake from here. 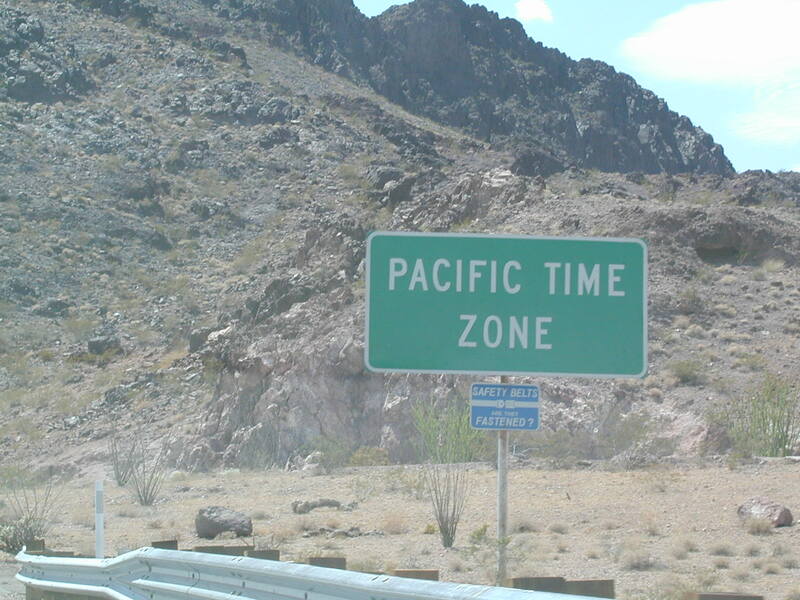 I don't recall seeing a sign that said we were entering Mountain Time, but on the way back, there is a Pacific Time Zone sign! 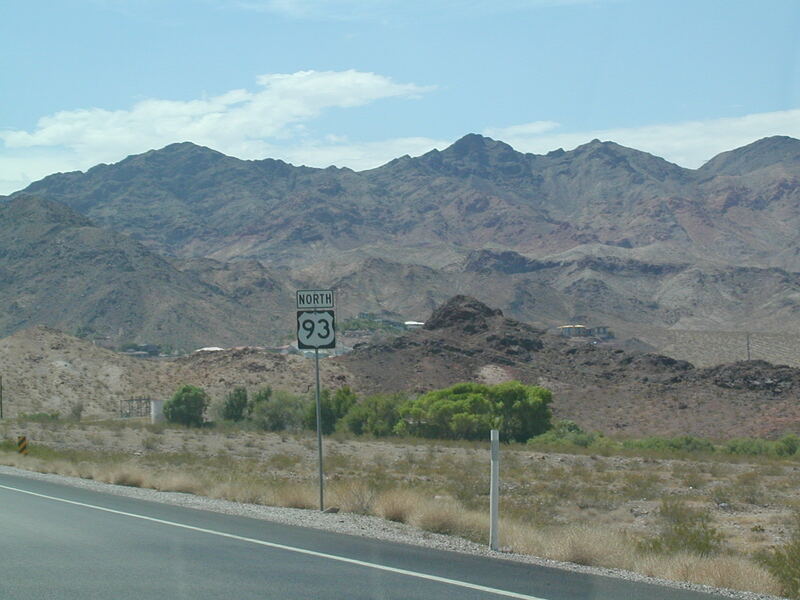 On US 93 North entering Nevada from Arizona. A pretty background with a North US 93 shield in front of it. 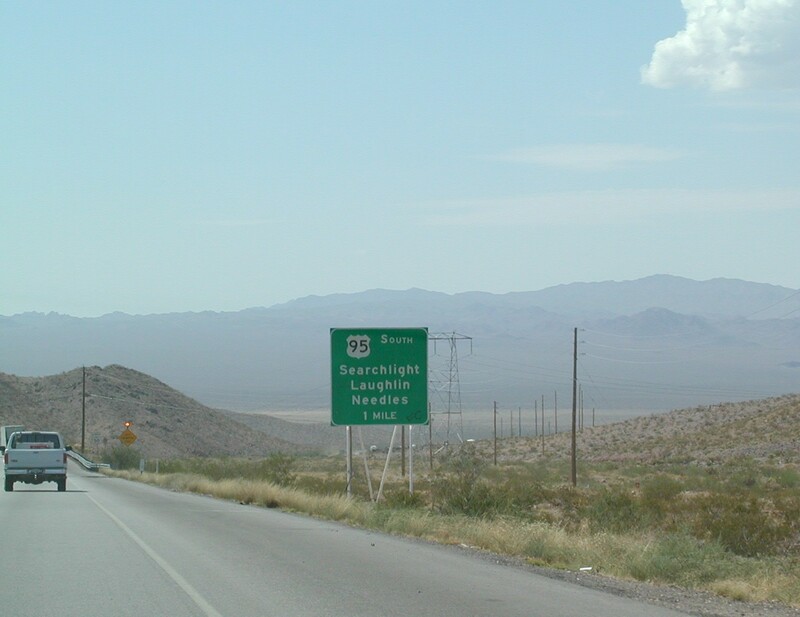 This is at the unsigned (or at least inconsistently signed) Business Route US 93. We took mainline US 93 back to Las Vegas. I took the picture, just don't ask me why. 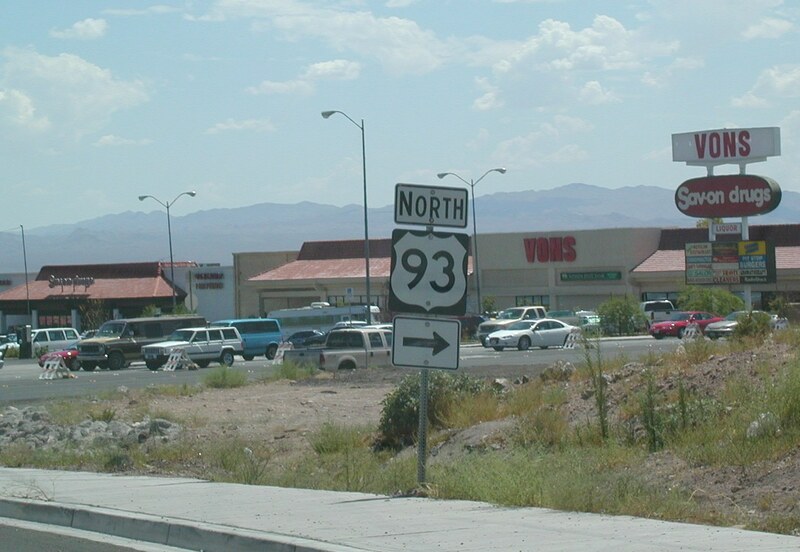 A random US 93 photo with a food store in the back. Hey, we're back on I-515! 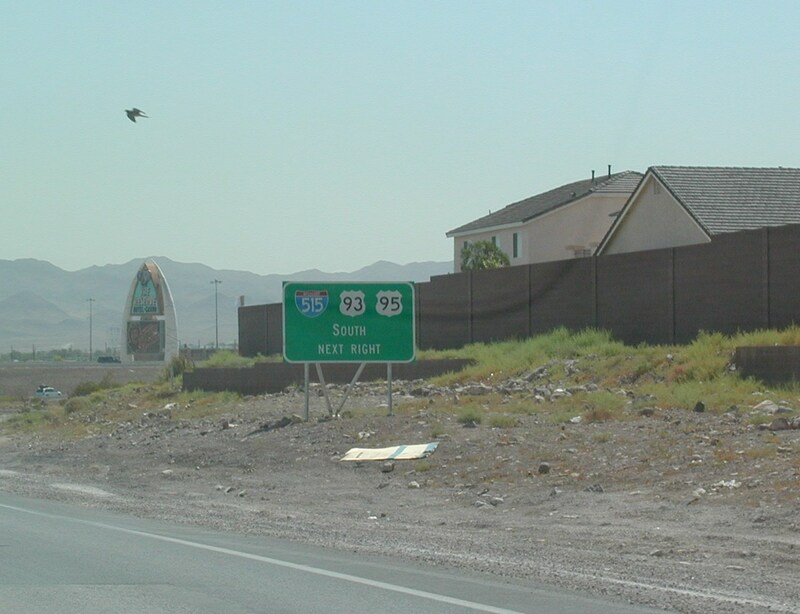 Many things: funky font on US 95, a begin banner for I-515, and a view into the Las Vegas basin.